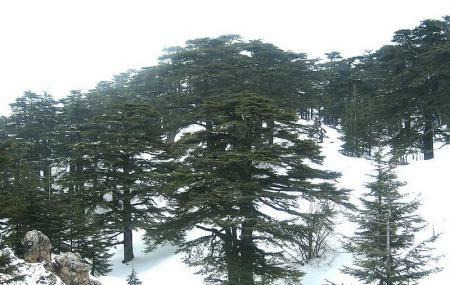 The grand Cedars of God refers to the mountain forests of Lebanon covered with cedar trees. The tree is also the symbol of the country highlighting further the importance of the place and the forest across the Lebanese landscape. This UNESCO World Heritage Site is a much-protected forest area, which can be seen with an authorized tourist guide. You must add it to your bucket list, as its one of the most visually charming places to visit in Lebanon. You must take a hiking trip around the gorgeous forest reserve and capture the majestic beauty of the trees. This one should not be missed! How popular is The Cedars Of God? People normally club together Baalbek and Deir Mar Semaan while planning their visit to The Cedars Of God.